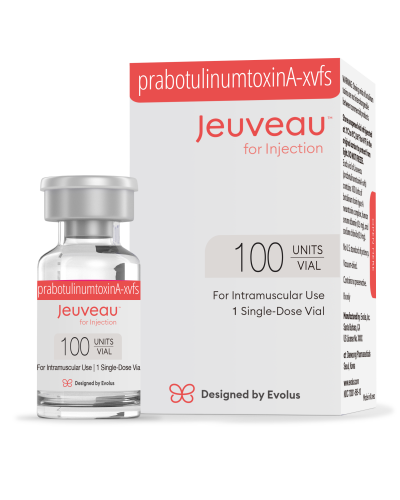 Approved by the FDA on February 1, 2019, Jeuveau (prabotulinumtoxinA) is an alternative to Botox, Dysport, and Xeomin, and it’s stirring excitement throughout the aesthetic dermatology world. In fact, many insiders call it “Newtox” or “The Modern Botox”, while others describe it as “Not Your Mama’s Botox” and “The Real Life ‘Pretty Filter’”! Jeuveau works within 2-3 days to reduce the appearance of dynamic wrinkles, or expression lines. These are wrinkles caused by regular facial expressions and movements: smiling, laughing, frowning, squinting, etc. It’s easy to administer and treatment is convenient. And the results? A smooth, wrinkle-free appearance for three to six months. In other words, get treatment in spring and you won’t need Facetune or Photoshop again until fall! The Jeuveau experience at CLderm is quite unique, as we offer same day AND walk in appointments! This is great for anyone who would rather not be pinned down to a schedule! Beyond our last minute availability, Jeuveau’s secret is its proprietary Hi-Pure™ technology. This means it’s administered easily, and it spreads evenly for results you’ll love for their consistency. It’s formulated with molecules similar in size to those in Botox, the gold standard of the industry. Simply put, Jeuveau is an attractive alternative FDA-approved for minimizing frown lines. Yet, just like Botox and the others, Jeuveau also addresses other types of dynamic wrinkles, including horizontal forehead lines, crow’s feet around the eyes, bunny lines on the nose, and nasolabial folds (those running from the nose to the corners of the mouth). Plus, because Cosmetic Laser Dermatology was among a select group of practices in the country selected to participate in the clinical trials, you can rest assured that you’re getting the ideal treatment to improve frown lines. Our experts are trained and experienced in adapting Jeuveau to meet your goals. Jeuveau is approved by the FDA to provide temporary improvement for moderate to severe glabellar lines between the eyebrows. These “frown lines” form due to worrying, thinking, or squinting against the sun. But with Jeuveau, you can continue taking fabulous sun-drenched selfies without worry. 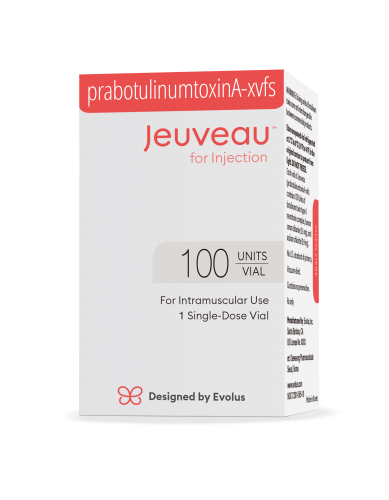 Jeuveau is formulated with prabotulinumtoxinA, which is slightly different from the Botulinum toxin type A found in Botox, Xeomin, and Dysport. What’s significant about prabotulinumtoxinA is that it’s a purified version of botulinum toxin type A. This helps temporarily erase frown lines in subtle yet effective ways. Typically, the Jeuveau procedure takes just a few minutes. No need to spend unnecessary time away from your active work and social life. Furthermore, most patients find that treatment is virtually painless. We’ve heard that it hurts less than waxing, high heels, bleaching hair, laser hair removal, tattoos, microneedling, and facial peels. There is no downtime afterward, so you can jump right back into your jam-packed schedule. Plus, you can expect a rejuvenated, smooth appearance within 2-3 days lasting 3-6 months, although this can vary from patient to patient. Because Cosmetic Laser Dermatology was heavily involved with the clinical trials that led to FDA approval, our physicians have the training and expertise with Jeuveau to smooth your frown lines and freshen up your appearance like you want. In fact, our practice is still one of the few in San Diego where the doctors administer the injections themselves. Our board-certified dermatologists have 100+ years of combined experience, extensive training, and highly-refined methods that minimize discomfort during your procedure. We understand how wrinkles can impact your appearance and self-confidence, so we work with you to determine your aesthetic goals and customize a treatment plan that meets them. To find out more about how Jeuveau can reinvigorate your look, do what over 150,000 of your San Diego neighbors have done and schedule a consultation at Cosmetic Laser Dermatology today. Q: What Is Evolus Jeuveau? Q: How Is Jeuveau So Effective? A: Jeuveau is formulated with a proprietary Hi-Pure™ technology, allowing it to be administered easily and spread consistently for aesthetically-pleasing results. Q: What Types of Wrinkles Does Jeuveau Help? A: Like Botox or any other specially-formulated neurotoxin, Jeuveau addresses dynamic wrinkles, or expression lines - i.e., wrinkles, lines, and creases caused by repeated facial movement or expressions. It’s FDA-approved for frown lines between the eyebrows, yet it also corrects forehead lines, crow’s feet, bunny lines, and nasolabial folds. Q: What’s the Difference between Jeuveau and Botox/Xeomin/Dysport? 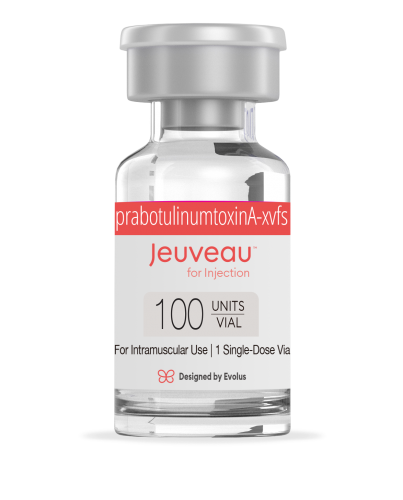 A: The neurotoxin prabotulinumtoxinA from which Jeuveau is formulated features the same size molecules that Botox does, while it’s larger than the molecules in Xeomin. Dysport features an array of molecular sizes, whereas Jeuveau features one consistent size. Further, prabotulinumtoxinA is a purified version of the Botulinum type A toxin. Q: Is Treatment with Jeuveau Painful? A: You’ll likely feel more discomfort waxing, walking in high heels, bleaching your hair, undergoing laser hair removal, receiving a tattoo, microneedling, and getting a facial peel. Q: Is a Single Treatment Session Long? I Have a Busy Schedule. A: We know how busy you are, which makes Jeuveau an attractive option, as one session typically takes a few minutes. Q: What Are the Potential Side Effects from Treatment? A: Because Jeuveau is formulated with proprietary Hi-Pure™ technology, the potential for side effects is minimized. These could include swelling, bruising, tenderness and soreness, redness and itching, headaches, and/or eyelid droop. These effects are normally mild and subside within 7-10 days, although results can vary. Q: What Is the Recovery or Downtime with Jeuveau? A: A treatment with Jeuveau requires no downtime or recovery. Q: How Long Do the Effects of Evolus Jeuveau Last? A: Although each case varies, Jeuveau delivers results typically lasting 3-6 months. Q: What Is the Cost of Jeuveau Treatments at Cosmetic Laser Dermatology? A: Jeuveau can be customized to fit your needs and suit your aesthetic goals, so the cost varies from case to case. Schedule a consultation with our San Diego dermatologists to know the exact cost to fit your budget and aesthetic goals. Cosmetic Laser Dermatology offers Botox, Xeomin, and Dysport as neurotoxin alternatives to address frown lines between and other dynamic wrinkles. We can also combine lasers, photofacials, chemical peels, microdermabrasion, and skincare to help provide the maximum result. To find out more about which treatment suits you best, schedule a consultation with our San Diego wrinkle reduction experts.